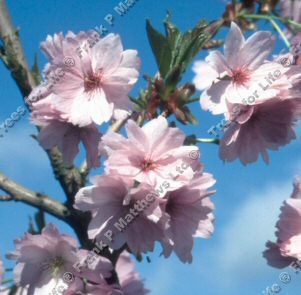 Pink Shell (Prunus 'Pink Shell') is an elegant and worthy small tree. Noted for its spreading branches drooping beneath an abundance of lovely cup-shaped shell pink blossoms. Pink Shell is supplied at a height of between 1.5 and 2.0 metres in a 5-15 litre container for year round planting and better results than from either bare-root or rootballed stock.